Eric Simonson’s valentine to the Yankees begins, plausibly enough, with a tense scene in a Boston hotel room as former manager Yogi Berra (a lively Peter Scolari) hopes to use his diplomatic skills to mend the rift between manager Billy Martin (Keith Nobbs) and player Reggie Jackson (Francois Battiste) after 1977’s highly publicized blow-up when Martin took Jackson out of the game. Team captain Thurman Munson (Bill Dawes) is on hand to arbitrate as well. The play ends with the bittersweet closing day of the old Yankee Stadium, as in the locker room, a now aged Berra takes stock of a long career with Jackson and Derek Jeter (Christopher Jackson) and an idolatrous reporter (Nobbs again) in attendance. Simonson – who also directed – is expert at turning out these promotional sports plays. (The Yankees and Major League Baseball Properties are among the producers of this one.) I missed his basketball play, “Magic/Bird,” but “Lombardi” was solid enough and allowed Dan Lauria and Judith Light to do strong work. 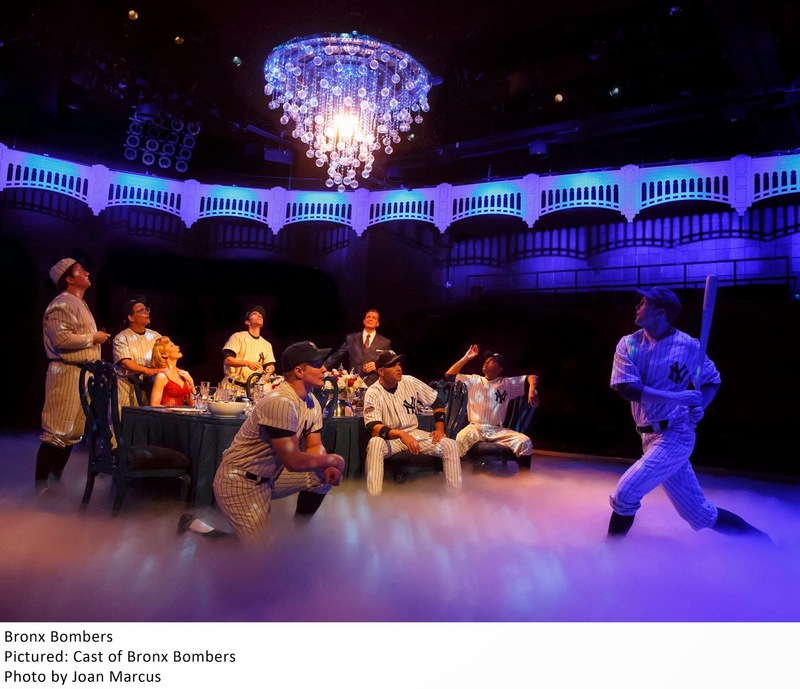 The centerpiece of “Bronx Bombers,” though, is a most peculiar fantasy sequence – stage smoke and all -- which opens the second act. Berra dreams of a celestial meal with gleaming silver place settings and sparkly chandelier, and the specters of baseball greats, living and deceased: Babe Ruth (C.J. Wilson), Lou Gehrig (John Wernke), Joe DiMaggio (Chris Henry Coffey), Mickey Mantle (Dawes again) and Elston Howard (Battiste again). They thrash out how the team was once of paramount importance as opposed to the modern-day trend of superstar players dominating the spotlight. But at the end of the day, all the banter is still a loving homage to the team, and everyone – including DiMaggio who enters in a business suit -- eventually dons pinstripes in proud solidarity. It’s like a Disney World diorama of historical figures come to life. Cliché-ridden and lacking in dramatic tension, if not sentiment (which is in abundant supply), the sequence – which concludes with Gehrig succumbing to the disease that bears his name, poignantly ending the bickering -- is a curious one, but one sure to please Yankee fanatics. Peter Scolari is first-rate as Berra, striving to maintain the harmony of the great team, and touching in the play’s final moments, and the actor’s actual wife Tracy Shayne plays loving spouse Carmen. As indicated, there’s some doubling; Christopher Jackson first appears as a hotel bellhop before returning as Jeter. Designer Beowulf Boritt has attractively transformed Circle in the Square into a mini Yankee Stadium with white arches around the circumference of the auditorium. Devotees of the Yankees will get a charge out of the play, flaws and all. 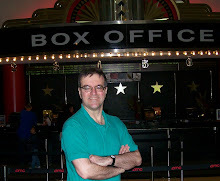 The general theatergoer should find it more than tolerable.